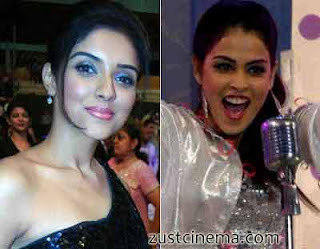 Erasing the rumours milling on the female star cast in Bol Bachchan,Rohit Shetty has roped in Genelia and Asin for the female lead actress role in this film.Earlier rumour milling that southside actress Samantha might be signed for BOl Bachchan movie. Ajay Devgn and Abhishek Bachchan playing the lead roles in Bol Bachchan film.Both Genelia and Asin were from south side and this would be for first time that these actress sharing the screen space.Bol Bachchan is being made as a tribute to legendary director Hrishikesh Mukherjee classic film Golmaal . Abhishek Bachchan will be potraying the role of Amol Palekar's dual role and Ajay Devgn is seen as Palekar’s boss which was essayed by Utpal Dutt in the original. Bol Bachchan is said to kick start its shooting from the month of August at Ramoji Film city, Hyderabad. Ajay Devgn is going to produced Bol Bachchan film.